FERC Holds Technical Conference on BPS Reliability July 9 – FERC held a technical conference to discuss policy issues related to the reliability of the Bulk-Power System (BPS). NERC representatives, including NERC President Gerald Cauley, addressed NERC’s major priorities. Specific topics included emerging reliability issues; evolving compliance and enforcement priorities; and standards development. Among other topics, Cauley discussed the potential need for new standards to address physical security following an unsolved shooting attack on transmission equipment at a Pacific Gas & Electric substation in April 2013. An archived webcast of the conference is available. NERC Requests Comments on its Role as ES-ISAC June 21 – Consistent with recommendations made by FERC in a recent audit report, NERC is requesting comments on its role as host of the Electricity Sector Information Sharing and Analysis Center (ES-ISAC). The ES-ISAC coordinates critical infrastructure protection information sharing among system owners and operators, and assists federal agencies to determine threat vulnerabilities and trends. NERC requests comments on the following issues: “the impact, if any, on NERC’s compliance-related activities of ‘walling off’ certain staff from the ES-ISAC activities”; and “access of FERC staff to ES-ISAC information for situational awareness and compliance purposes.” Comments are due by July 22, 2013. NERC Seeks Comments on Proposed Geomagnetic Disturbances Standard June 27 – NERC is seeking comments by August 12, 2013 on its proposed geomagnetic disturbances (GMD) standard and the corresponding implementation plan, Violation Risk Factors and Violation Severity Levels. NERC developed the proposed GMD standard in response to FERC’s Order No. 779, which required NERC to create reliability standards to address the potential effects of a GMD on the Bulk-Power System. FERC Dismisses Complaint Against MRO and Others July 3 – FERC dismissed on procedural grounds a complaint related to the construction and operation of a 345 kV transmission line in the Midcontinent Independent System Operator (MISO) footprint (the “Twin Cities–La Crosse Line”) that was brought by two nonprofit advocacy groups. The complaint alleged that the Midwest Reliability Organization (MRO), MISO, and various private participants of the Twin Cities–La Crosse Line had violated a series of transmission planning-related Reliability Standards. The complaint further alleged that the Twin Cities–La Crosse Line would cause congestion and transmission system instability unless another high-voltage extension is built to the Madison, Wisconsin 345 kV system. FERC dismissed the complaint against MRO because section 306 of the Federal Power Act does not authorize complaints against Regional Reliability Entities. FERC dismissed the complaint against the remaining parties because the complaint failed to comply with the requirements of FERC Rule 206 by not adequately explaining how the allegations led to a violation of any specific Reliability Standard. NERC Revises Standard Processes Manual July 3 – NERC posted a Standards Announcement regarding the FERC-approved revisions to the Standard Processes Manual (SPM). The Standards Announcement highlights some of the key changes to the SPM, including that any postings on June 26, 2013 or later will follow the revised SPM procedures. A redline version of the revised SPM document, which includes the FERC-approved revisions, can be found here. NERC Files Quarterly Status Report on PacifiCorp’s Complaint Against WECC July 1 – In accordance with the directives in FERC’s March 4 Order, NERC filed a quarterly report on the status of the investigation into PacifiCorp’s allegations that WECC and the Los Angeles Department of Water and Power violated mandatory reliability standards that resulted in reductions of transfer capability on PacifiCorp’s system. The quarterly report notes that NERC’s investigation of possible violations was initiated on March 12, 2013, that a NERC investigation team has met more than ten times since the initiation of the investigation, and that the NERC investigation team has conducted three site visits. NERC Replies to Comments on FERC’s Proposed Rulemaking Regarding Modifications to Four Existing Reliability Standards July 9 – NERC filed a response to comments submitted on FERC’s notice of proposed rulemaking to approve NERC’s modifications to Reliability Standards FAC-001-1, FAC-003-3, PRC-004-02.1a and PRC-005-1.1b. In the response, NERC notes that there are existing mechanisms for dealing with registration changes that may be warranted upon identification of a “complex generator interconnection facility,” and defends its definition of the term “generator interconnection facility,” noting that the existing framework accounts for changes of ownership. NERC Balloting for Phase 2 of BES Definition Process is Open Through Friday, July 12 – The NERC balloting period for phase 2 of the Bulk Electric System (BES) definition implementation process is open, and will close Friday, July 12 at 8 PM EDT. For more information, click here. WECC Posts Frequently Asked Questions (FAQs) on Bifurcation July 3 – WECC has posted a series of FAQs on its website regarding the recently-approved bifurcation of WECC, wherein WECC will be split into two entities: a new Reliability Coordination Company (RCCo) that will perform WECC’s reliability coordinator and regional interchange functions, and WECC, which will continue to serve as a Regional Entity. In addition to explaining the reasoning behind bifurcation and how it will affect interested parties, WECC also offers a table indicating which functions each entity will perform and a proposed schedule for completing the bifurcation process. ReliabilityFirst Retires System Restoration Plans Regional Criteria (RFC_Criteria_EOP-007-01) July 1 – Effective July 1, ReliabilityFirst has retired its System Restoration Plans Regional Criteria (RFC_Criteria_EOP-007-01). At its September 1, 2011 board meeting, ReliabilityFirst approved the retirement of the System Restoration Plans Regional Criteria to coincide with the effective date of NERC’s System Restoration from Blackstart Resources (EOP-005-2) standard. Proposed Short-term Winter Reliability Measures to Address Potential Shortages of Natural Gas in New England June 28 – ISO-New England and the New England Power Pool have proposed a series of short-term measures to address the potential for reliability issues this winter associated with the increased use of natural gas in the Northeast. The measures—which are intended to alleviate acute shortages of natural gas that could impact generation during cold days—include a new demand response program, an oil inventory service, incentives for dual-fuel units, and market monitoring changes. 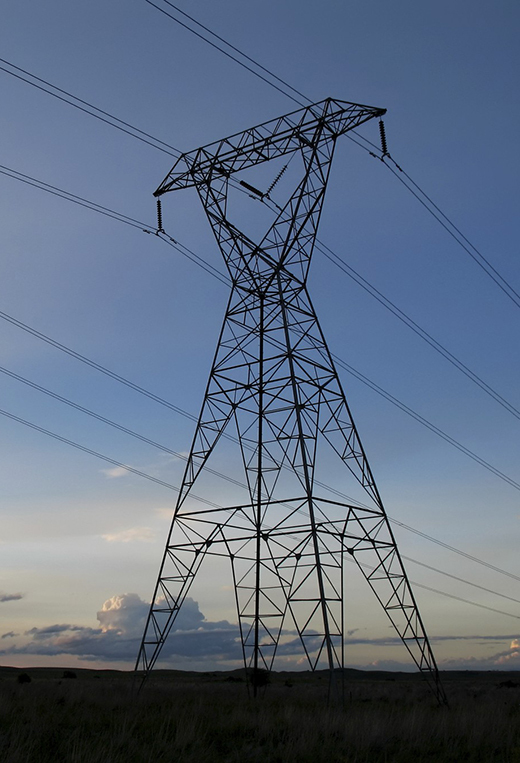 The costs of the reliability program—an estimated $16 to $43 million—would be allocated to transmission owners. Load-Shedding Event on July 2 in Alberta, Canada linked to Transmission Shortage July 2 – In contrast to a recent Alberta Electric System Operator (AESO) outage that was caused by a shortage of generation, an early July load-shedding event resulted from the shutdown of a substation transformer, which caused the AESO to shed 200MW of load for about an hour. Coverage is provided here.